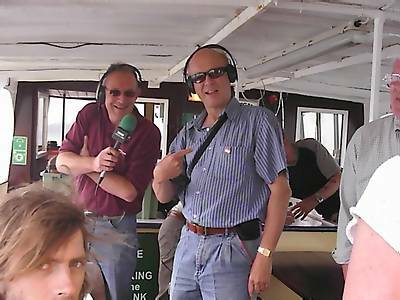 On Friday 16th June 2006 BBC Radio York marked the fortieth anniversary of Radio 270 with a couple of special programmes broadcast from the pleasure cruiser The Regal Lady. 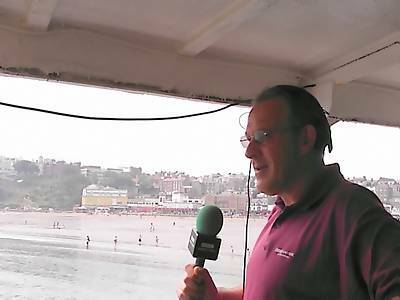 Former Radio 270 DJ Guy Hamilton was a special guest on the afternoon show presented by Jerry Scott. These are Guy's photos. Many thanks to him for sharing them with us. expert Bob Preedy looks on. 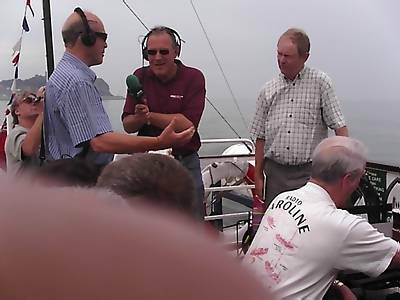 Back to the Radio 270 memories pages.